The perfect mix of style, sun and (4!) 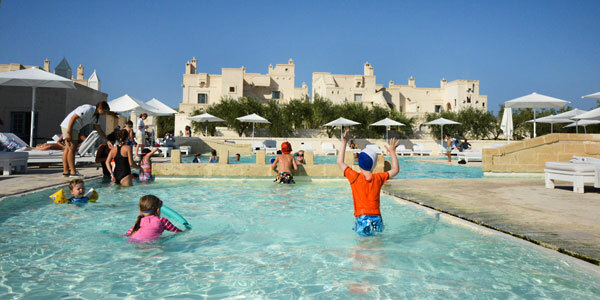 swimming pools, and all less than an hour from Bari or Brindisi airports so that you can fly and flop; we defy any family not to have a blast at Borgo Egnazia. Children adore the superb kids’ club (free for over 3s), and there’s a vast kids’ pool plus an excellent playground with a trampoline. There’s more than enough to satisfy adults, too: 4 restaurants, an award-winning destination spa, tennis courts, a golf course next door… And you’re just a free 10-minute shuttle ride from the beach club! These contemporary resort-based villas cater for all sizes and budgets, so they work brilliantly for families of every stripe. 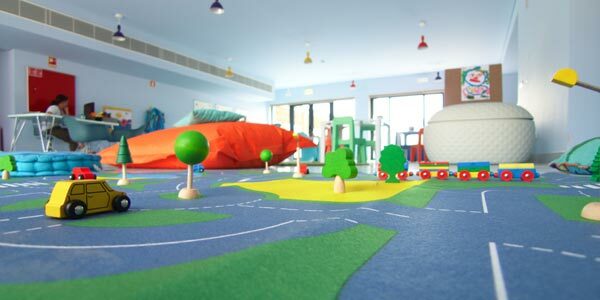 The kids’ clubs cater for all, too, from 6 months in the crèche to 16 years in the Adventure Club. Tech-driven teens have their own video-game room, and the tennis and football academies and Junior Lifeguard courses are popular with older kids. All children over 2 receive a hat and goodie bag on arrival, and you can pre-book must-have baby or toddler equipment to reduce packing. The villas themselves offer the flexibility of self-catering in swanky kitchens, but there are 3 restaurants should you not want to cook. 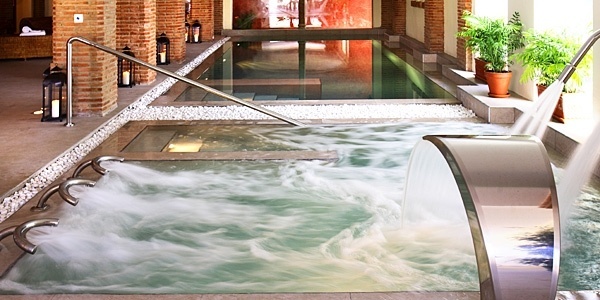 There’s also a small spa, and you’re just 2 minutes from a sandy beach with heaps of watersports. 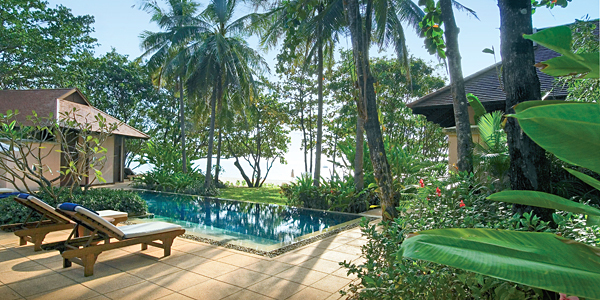 Indulge yourselves with some old-school glamour and new-world hospitality at this elegant resort. Set in 100 tropical acres that cascade down to the sea, it has a mix of villas and cottages, a choice of restaurants (complete with kid-friendly fare), and an infinity pool with a shallow end. 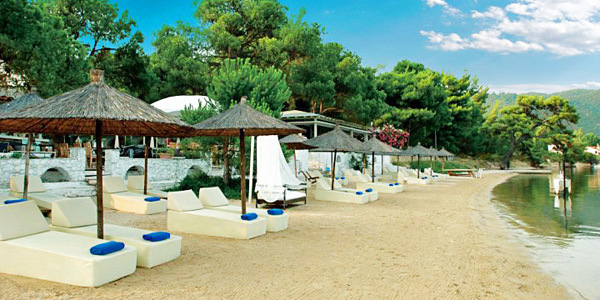 Kids will delight in the private sandy beach, wading pool, outdoor playground and glass-bottomed boat trips, and the free kids’ clubs mean adults can treat themselves to windsurfing, snorkelling, tennis, cycling, yachting and massages while their little darlings are having the time of their lives. There are even themed family nights with Jamaican beach barbecues. Irie! For the ultimate in Alpine chic, together with Michelin-starred dining and an exclusive spa, head to Alpaga. All accommodation options can take a baby cot, and the suites have bunk beds or twin rooms for children; there are also chalets for extended families, with plenty of communal space and a separate apartment for friends or teens. And for those who may not appreciate the tour de force gastronomy in La Table, there’s a more informal restaurant with a kids’ menu. 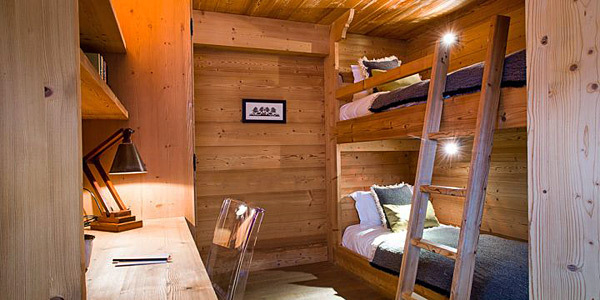 As for fashionable Megeve, it’s a tremendous resort for winter sports and also makes a great destination in the summer months, when paragliding, hot-air ballooning, hiking, rafting, rock climbing and canyoning will thrill teens who think they’ve done it all. 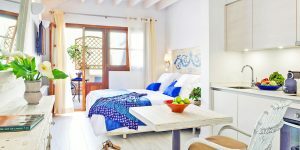 Adults and children alike will feel rejuvenated after a stay at this playful retreat, set on a secluded bay on the Sithonia peninsula. There’s a superb holistic spa, a playground with swings, Family Suites, and blissful Coco-Mat mattresses for a sound night’s sleep. The beach is safe and shallow, and there are bikes to borrow for exploration. You also have a choice of restaurants, plus an organic juice bar by the palm-fringed pool – ideal for chilling while keeping an eye on the kids. Some reckon this is the finest country hotel in the region. No wonder, if you consider the show-stopper lagoon-style pool, opulent spa complex, stables, tennis courts and extensive grounds. The free summer-holiday kids’ club might take youngsters to meet the farm animals or off on a guided pony ride, and the plush suites are super-comfortable (if not the latest word in cutting-edge chic). Eat in one of 3 restaurants, with a good children’s menu of perennial favourites such as spaghetti, chicken and sausages. Book now for discounted rates over the summer holidays. So much more than a beach resort! You’ll be treated to the most memorable of holidays at this flawlessly designed hotel, spread across a Unesco-listed island and a former royal palace in relatively undiscovered Montenegro. Adventurous older children and teens can climb mountains, sail the Adriatic or spot birds on Lake Skadar; for those of a more relaxed disposition, there are sandy beaches and 3 stunning pools. The Aman Spa defines indulgence for quality time when the kids are off on treasure hunts, making pizzas or practising yoga (there’s a weekly schedule of activities), and child-friendly food is offered at all mealtimes. Best of all, those under 12 stay free! For those after laid-back luxury, wonderful service and top-notch pampering in an exotic setting, Pimalai fits the bill perfectly. You’ll find a gorgeous jungle spa (stay before 31 October for a 20% spa discount), 4 restaurants (with an award-winning wine list), and beautiful grounds made for romantic strolls. If all that doesn’t sound very family-friendly, think again: there’s a kids’ pool, a large sandy beach, free snorkelling and scuba diving, a games room, and villas and suites in 1-, 2- and 3-bedroom configurations. From May to October there’s also a complimentary toddler day-care room, and a playroom with toys is available for 4-8 year-olds. 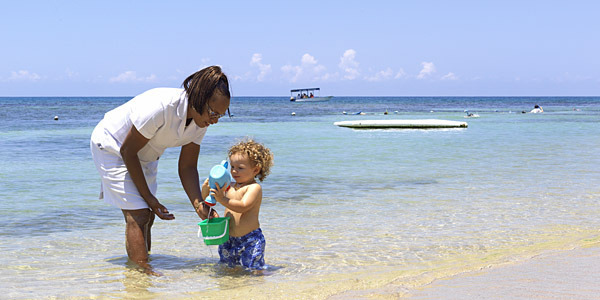 Note that some areas of the resort only permit children over 12. Under an hour from Paphos airport, on the northwest coast of the sunniest island in the Med, is this stellar beachside resort. It delivers on the one-stop-shop in spades: you’ll luxuriate in airy accommodation, feast on sumptuous buffet breakfasts and seafood grills (yes, there’s a kids’ menu), and make the most of superlative childcare at the kids’ clubs (including dolls houses and play kitchens for the little ones, and fun activities such as water polo, origami, bowling and air hockey for older children). The terrific watersports centre will have you all sailing, windsurfing, jet skiing and diving to your heart’s content; back on dry land, opt for tennis, mountain biking or blissing out in the uber-swish spa. The prices can be pretty uber, too, so take note of the special offers: free half-board for kids, a free room for kids if you stay 5+ nights, and a 10% discount over the summer holidays if you book by 30 April. Browse our Kids Collection, which is full to the brim with family-friendly boutique hotels.